Training is forever. We are firm believers of the “Earn while you Learn” philosophy. With the vast array of programs that we offer, we have developed a streamlined training process to help ensure your success. We have the experts so you don’t have to be. Your focus is simply to build relationships with your clients and help find them money! Most other companies give you a basic manual or have you attend a weekend seminar only to leave you to figure things out on your own from there. We understand that training and support is Lifelong and make sure that there is ongoing training for each area of this business. Take an expert with you on your first appointment, virtually. Let the expert conduct the presentation for you, so you can receive valuable training and “Earn while you Learn”. Watch and listen to how the experts present; learn from our top closers the best way to present to your clients. Assistance in working with your existing client base, as well as new Pre-Set Appointments made available through third party provider**. We know that in business it’s not about being at the top of your class, its being at the top of your game. Narrowing your target…Minimizing distractions…Maximizing your time and potential. It takes skill to hitting the bull’s-eye more often than not. You’ll learn the tools and techniques behind process-driven client acquisition; a top-level business technique that results in a continuous flow of prospective new clients and SMART Marketing. 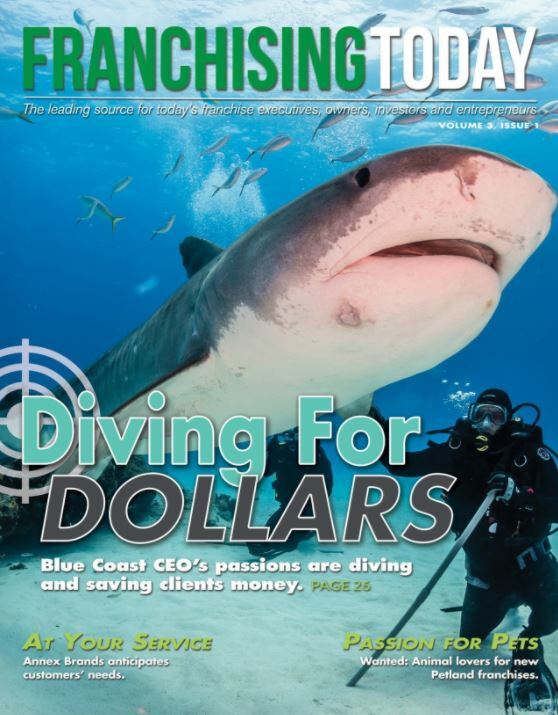 “Training, mentoring, sales and marketing support are top priorities at Blue Coast. We understand that making a financial investment in a business is just the beginning. In order to really achieve the level of success we know is possible; our Advisors must make the personal investment of their time, mental focus and positive emotional energy. Our training and mentoring programs help our Advisors develop the skills and confidence to take their business to the next level. Ultimately what we are building are business leaders”. I have been very impressed with the caliber of training resources and people I have encountered during my Blue Coast on-boarding process. As I have soaked up information from calls, met with partners and interacted with other advisors, the passion and dedication that exists for helping new advisors succeed is evident. If you will commit the time and effort, you can learn a lot about the business in just a few short weeks. It is clear Blue Coast is invested in helping its advisors – old and new – continually rise to new levels, and they go to great lengths to make that possible. I can’t thank you enough for encouraging me to attend Mike’s two day training on how to use class action settlements to get clients. As a CPA with over 30 years of industry experience in corporate finance and accounting roles, but no experience with sales, I was looking for a way that a “non-sales person” could be successful in this business. To my great joy and surprise, the entire workshop was about teaching me how to help businesses recover their money (and how to get past the gate keeper), rather than just being a regular sales training class. In fact, I attended one sales training course a few years ago and it was more about getting everyone excited and motivated about going out and selling the product, rather than how to actually sell it. Mike’s training was totally different. He not only provided a script that told me exactly what to say, but also how to say it and the reasons why it should be said that way and in that order. Helping businesses recover their money is certainly a cause I can wholeheartedly support and now I have the tools to do that in a way that produces results. Also, the live calls with immediate feedback was extremely helpful. To come to the workshop only a few days after receiving my first set of leads was a real blessing as I will be able to get a great start and not have to go through the process of floundering on my own for a while. This was exactly what I needed to help me get started on the right foot. Thanks again, and I can’t wait for workshop 2. What a great time in Florida with Mike K.! I have to admit that I was not expecting the impact that I received from going down to train with Mike. As you know, Mike helped me when I first got involved with class action and the settlements … but that was over-the-phone coaching. What a difference seeing Mike live in person!!! It’s one thing to hear Mike give you tips over the phone and it’s a totally different experience when he listens to you and coaches you and then you get to watch him make calls live. It was priceless to learn his techniques, tone, posture, etc. to not only get past the gatekeepers, but also have the most effective conversations with the decision makers. You also learn how to get the maximum amount of calls done in the shortest amount of time. If I could give one analogy, I would say it’s like the difference between having Michael Jordon give you some pointers over the phone versus spending a couple of days with him training you in-person. It was truly a life changing experience! In my opinion, anyone who wants to be successful working settlements would be crazy to pass on the opportunity to spend some time with Mike in Florida. I can’t wait to go back for phase 2 training in a couple/few months! The workshop with Mike K and the class action team was a home run. I went in somewhat confident that I could be successful at the Class Action lawsuit business and came away 100% convinced I will be successful. Mike not only taught us exactly what he did to earn the type of income he did over the last 10 years but he actually showed us by making live calls and allowing us to observe him in action. He was able to give each of us one-on-one coaching and personal attention to help us sharpen our skills. Plain and simple, if someone has aspirations to make serious income, this workshop is a MUST. You’re not serious otherwise. I just want to thank you for the very interesting and enlightening telephone workshop you put on in Florida last week. To be honest I was not sure it was going to be that helpful to me, but I was dead wrong. Because of my background as a Ford Dealer for thirty years my phone skills were fairly good and I also have a lot of contacts and warm leads to go after and was not sure if my time would be well served on cold calls. That could not be farther from the truth. In some ways they are easier than warm leads. The way Mike K. teaches the Workshop is genius. He starts by asking the phone operator for the Legal department. That takes them off guard. No sales call would ever start there. So you get to the right people much faster. He also keeps it short as possible. Time is a big factor. It’s a numbers game the less time you spend on each call the more calls you can make and the more agreements you get signed. I never would have put it all together without going to the workshop. I highly recommend it to all your Agents, and would be glad to talk to anyone to give them my thoughts. I recently attended one of the class action workshops in Florida. I have to say, this was one of the best training sessions that I have attended and highly recommend for any advisor wanting to build their business. The small group sessions are very interactive as Micheal shares his techniques on effective closing and demonstrates his methods with us on actual calls. For myself, the time spent at the workshop was extremely beneficial as I now know specifically how to get through the “gate keeper” to the decision maker, as well as, what to say / not to say, and even down to the tone to use when calling leads. In addition to the excellent workshop training, it was also great meeting other BC advisors and sharing best practices. I highly recommend attending a workshop if at all possible; it’s an excellent learning and networking opportunity being offered to all BC advisors. Micheal is truly generous in sharing his knowledge and genuinely interested in helping advisors achieve ultimate success. I am already seeing positive results from the workshop! Just this week, with Michael’s support and expertise, we were able to successfully close a very large client. Thanks for providing this opportunity and all you do for the advisors. As for the workshop it was excellent! Mike is a unique professional that has mastered his craft. The format was very casual but very engaging. Mikes methods are game changing for everyone who attended. Having 20+ years in sales I have never experienced Mikes methods, but they work like magic. My challenge is retraining my thought process to be “more like Mike” on the phone. His results when he made calls were remarkable and showed all of us how to better approach the phone scripts. Wanted to drop you a note to let you know that the workshop that Michael K is putting on in Florida for the Blue Coast Advisors is fabulous. I learned from in him in the two days how to close business efficiently and quickly following is very simple but effective method. Making calls with him and getting immediate feedback from him and the other conference participants was invaluable. Then to listen to him make calls from our lists and get people to call back was truly enlightening. I personalized received 8 returned phone call, sent out 6 contract s and received them back within the week from the end of the conference. I had to forget all the sales training classes I had been through and follow this method. At the end of the conference he put together a projected income potential from only 6 signed agreements and that did not even include the zero cost processing residual that should be a natural tie in with the class action. The numbers he used were not pie in the sky by actually very conservative. Anyone interested in taking their business to the next level should get signed up for this conference as soon as possible. They will never again have the opportunity to make as much money learning this system for such a small investment of time and travel. If you were to put a price on this training, you would have to use the credit card commercial phrase “PRICELESS”. Thanks for bringing this to us as advisors and huge shout out to Michael K for sharing his knowledge and experience with all of us at Blue Coast. On Feb. 3rd our team of 4 met Mike K. for the first time. Up to that point we knew what great products and services we can offer to businesses but had been having mixed results when contacting potential clients. After learning the “K Way” we have seen an increased response from our leads. While watching Mike call leads and then us doing the same you could see the “light bulb moments” occur with each person there! We are committed to the “K Way” from now on! If anyone is debating whether to attend this workshop, debate no longer! Take advantage of this rare business opportunity as quickly as you can. Mike is a real, caring person who can transfer his knowledge to others without making them feel inferior. We now know our future is limited only by our efforts! Many thanks to Mike K and Blue Coast for making this business life changing opportunity available. I wanted to reach out regarding last weeks training with Mike K. Mikes training was very informative, enlightening and motivational. I can honestly say that after only two days with Mike and his team I left fully competent and ready to handle all tasks surrounding the service offerings. I can also say without a shadow of a doubt that the information gained is already positively impacting my Blue Coast activities. Often times the difference between success and failure is just a slight shift. Mike is a master of seeing the shift you need and bringing it to your attention. My numbers have improved 5 fold since going to Mikes training. I would recommend this for anyone not getting the results they want from Class Actions. Wishing you a safe and productive day. I have taken some of the top sales training courses available and I have never gotten the results I had spending 2 days with Michael K. He is not only the BEST telephone sales person I met he is also one of the finest people I have met. His ability to connect with people is inspirational and most important he makes it easy to copy. The time I spent with him has already turned into closed deals and sales opportunities for me and my team. Bottom line is if you want to grow your business Michael is the person to see and know. As someone who has been a Blue Coast Advisor now for roughly 9 years I guess I can officially be considered one the “Old Timers” on the roster. In that time I have seen a tremendous amount of positive changes come to pass as Shawn continues to live out his mantra of never being complacent, but constantly striving for improvements in both the process/techniques for Advisors as well as the value in services we are able to provide our clients. I was fortunate enough recently to have the opportunity to experience one of those new techniques first hand when I took Shawn up on his offer to have Advisors meet with Mike K and his crew at their Florida office. It was truly a difference maker in how this Old Timer and his subreps will be doing things going forward. As Advisors we all know that the number one issue we have is in making that initial contact with the decision makers. Mike completely altered my approach, and not only explained how and why his approach is far superior, but even went so far as to make live calls off my own lead list using his techniques to PROVE it. If you are serious about getting your own business off the ground and moving forward in the right direction so that you to can look back fondly in a few year on how far you’ve come since making the decision to join Blue Coast then I strongly suggest your next good decision be to attend this training for yourself. When Shawn talked to me about Mike K’s workshop, I must admit that I was somewhat skeptical. My gut reaction was that class action was somewhat arcane and hard to break-down to customers especially over the phone. Having been in sales a long time, suffice it to say that I went to Florida with low expectations. However, I was not prepared for Mike. He broke the process down into simple, easy-to-follow steps and explained the nuances of pitching class action on the phone. In short, he turned everything I knew upside down. He then sat patiently as I made calls and provided one-on-one feedback – hugely helpful to getting me up and running. Bottom-line – I am very happy I went and early results are very encouraging from an ROI and business building perspective. I am now working on my teenage son to go learn from Mike J – that is probably the best compliment I can give. THANKS MIKE!